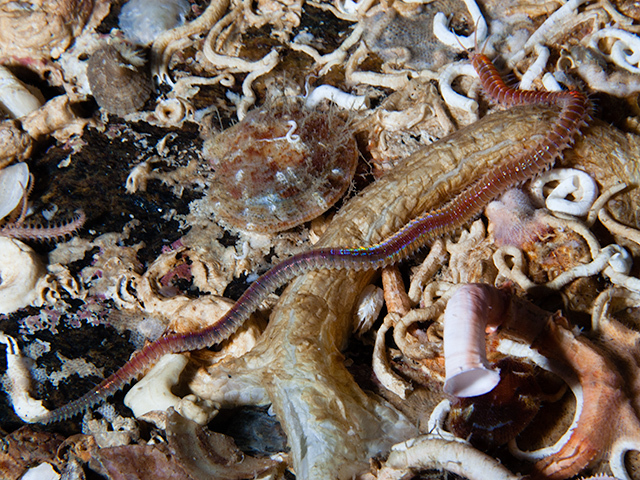 This slender bristle worm may reach a length of 41 cm. The color is usually pink, orange or brown, often with a shade of metallic blue. The first segment behind the head is 3-4 times longer than the rest of the segments. There are five antennae on the head. 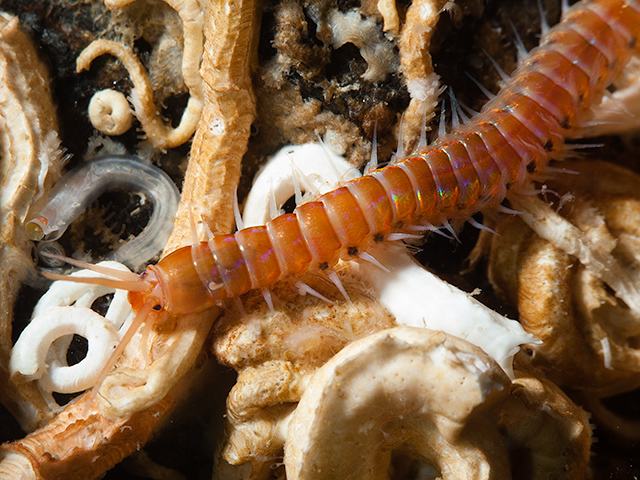 This bristle worm thrives in presence of the stony coral, Lophelia pertusa where it steals particles caught by the coral, but can also be found under rocks or in crevices. It can produce a fragile tube with more than one exit. It may also inhabit tubes made by other species. 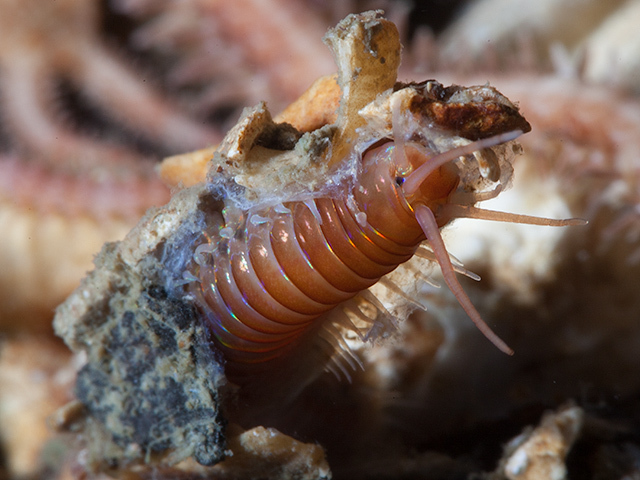 E. norvegica is registered on depths from 30 to 1500 meters. 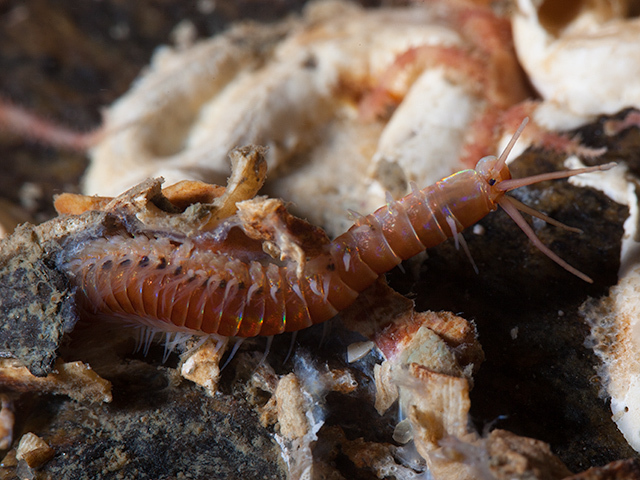 Eunice norvegica is known from the North Atlantic Ocean, the Mediterranean and the Gulf of Mexico.